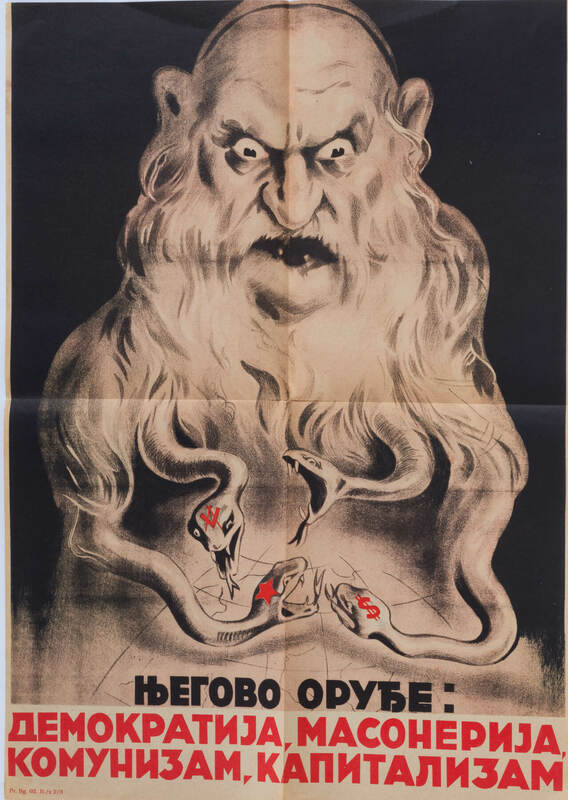 An anti-semitic poster published by the yugoslav nazi party in belgrade, serbia. C. 1941- 1942. “the jew’s arsenal: democracy, freemasonary, communism, capitalism”. Folds. 26” x 19”.